If a strain of avian H5N1 influenza that readily spread from person to person were to appear in the real world, the great fear is that it would produce a deadly pandemic to dwarf what happened in 1918. The best defense against flu pandemics are vaccines, and the most recent experience with a global flu pandemic, in 2009, highlighted the gaps that existed in getting vaccine quickly made in large amounts. Three years ago, despite the U.S. government marshaling all its infectious disease-fighting muscle, the effort wound up delivering most of the vaccine too late to matter. The pandemic peaked in October 2009, while the vaccine supply didn’t hit its stride until sometime in December. The modernized system would mean sequencing a newly isolated pandemic virus in the field and then — instead of shipping the virus — just sending gene sequences, followed by replicating the hemagglutinin gene at a remote site, putting the new gene into a waiting scaffold vaccine virus, and launching vaccine production. If these two changes had been in place in 2009, “the vaccine would have been available in large quantities before the peak of viral infection,” Dr. Rappuoli said in his paper. More importantly, speaking at a June 20 press conference Dr. Anthony Fauci said that the National Institutes of Health, as well as the Centers for Disease Control and Prevention and the Food and Drug Administration, had already begun to move on this, adopting “the fundamental principles of bringing influenza vaccinology into the 21st century.” Steps already taken along the lines of what Dr. Rappuoli suggested carry the potential for “a significant change right now” in the time needed to get out a pandemic vaccine, Dr. Fauci said. He particularly cited NIH studies underway using an immunoadjuvant to expand the coverage potential of stockpiled H5N1 vaccine, a step that would “markedly accelerate availability. “We are right now in a much better position [to distribute pandemic vaccine quickly] than we were in 2009 when we had vaccine available only after the peak of the H1N1 pandemic,” Dr. Fauci said. The pandemic caused by the 2009 H1N1 influenza virus is now post-pandemic, according to a statement issued today by WHO Director-General Dr. Margaret Chan. We should consider ourselves lucky that the 2009 H1N1 virus remained relatively mild, despite its hostile takeover of other circulating flu viruses last fall. Now, according to data from the WHO, many countries where seasonal flu is occuring are reporting a mix of viruses. So, it sounds like the 2009 H1N1 is settling down to play happily in the mix with other circulating flu viruses, learning how to take turns with the likes of H1N3 and influenza B, which join 2009 H1N1 in the 2010-2011 seasonal flu vaccine. But hold on to your hand sanitizer—“Pandemics, like the viruses that cause them, are unpredictable,” Dr. Chan said in her statement. And she’s right: Think back to every horror movie you have ever seen, or any book where it seems like the villain must be dead. Not until it’s time for the sequel. The 2009 H1N1 pandemic was, in many ways, a trial run for how the government and the medical community can work together to provide information—and health care—to the public in an emergency. 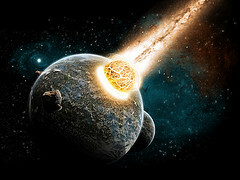 There is room for improvement, especially as social media evolves, but the regular media updates and availability of information online was at least a starting point for communicating this type of news effectively. And even though there has been some controversy over whether governments ordered too much of the H1N1 vaccine, one could argue that it is better to have too much than not enough. Imagine the panic if the H1N1 virus had been deadlier, and there was a vaccine shortage.That’s another potential positive side effect of the 2009 H1N1 pandemic—a revisiting of the vaccine-making process. Maybe we can look forward to quicker, more efficient vaccine production. Maybe not right away, but perhaps in time for H1N1 II: The Swine Flu Strikes Back. Coming Soon to a Germy Person Near You. “Continued vigilance is extremely important,” Dr. Chan said in her statement. To that end, the WHO offers recommendations for the post-pandemic period on its website, and the CDC continues to provide the latest flu information. The Centers for Disease Control and Prevention today released nationwide data on H1N1 vaccine uptake rates from October through the end of January, and the state-by-state variation in rates, especially in children aged 6 months-17 years, is nothing short of astonishing. And as of now, the CDC really has no good explanation for what’s been going on. State H1N1 vaccination rates in this age group varied from a remarkably high 85% in Rhode Island to a low rate of 21% in Georgia. 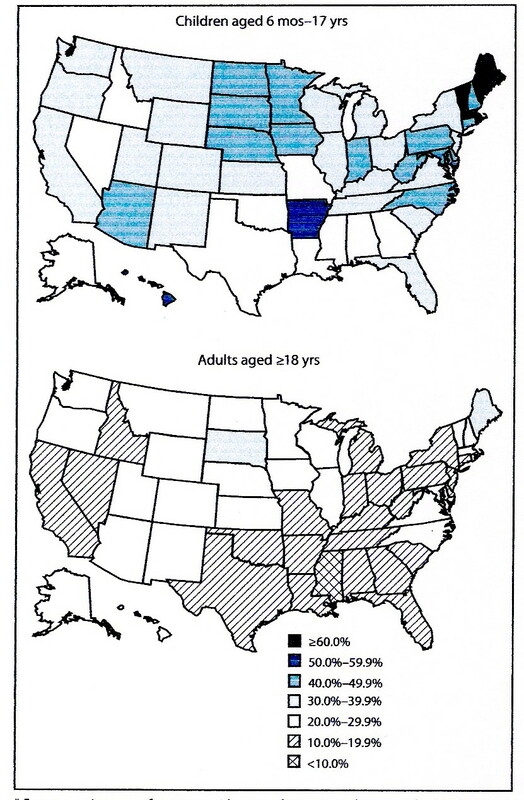 In contrast, the state-by-state variation among adults aged 18 or older was far tighter, ranging from a high of 39%, als0 in Rhode Island, to a low of 13% in Mississippi. In other words, the gap between the highest and lowest state rates among children–64%–was about 2.5-fold higher than the range in adults–26%. The state by state rates for children (see map, upper panel) also seems to defy any logical pattern, aside from the cluster of high-rate states in New England. There is a high-rate state, Arkansas (50% vaccination rate) sitting next to several low-rate states including Louisiana (24%) and Texas (25%). Georgia’s low-ball rate of 21% juxtaposes with the relatively high rate of 45% in nearby North Carolina. Even in New England, there is a relative outlier in New Hampshire, where its 46% rate pales next to neighboring Vermont (72%), Massachusetts (60%), and Maine (60%). The CDC offered some possible explanations for the states with high rates: a focus on childhood vaccination, use of an existing childhood vaccination infrastructure, running school-based vaccine clinics, and better recognition of the value of vaccination by parents and providers. Among these, the school-based clinics got the biggest play today, but even that doesn’t seem to tell the whole story. As the CDC’s Dr. Anne Schuchat noted, most states had at least some school-based clinics. As the CDC noted in its report, the good news for vaccine advocates is that having locations with such high rates bodes well for eventually finding out what happened and building on it in the future. And trying to extend it to adults. But the CDC has a lot of data mining in its future to figure out what was behind this incredible regional variation. Find my news article on today’s data from the CDC here. The H1N1 vaccination numbers are in for January, and the federal effort to promote this vaccine has come up way short. Dr. Schuchat, a leader of the CDC’s H1N1 vaccination campaign, faces a tough sell to the American public, and the numbers she reported Friday tell the story: According to a U.S. survey by the CDC, about 70 million Americans (23% of the U.S. population) received at least one H1N1 vaccine dose through January 30, an increase of only 9 million since the last survey that covered the period through January 2. In contrast, 61 million received the vaccine from its U.S. introduction at the start of last October through Jan 2. In other words, an average of 20 million people a month got the vaccine during the first 3 months, when distribution was mostly limited to high-risk people, compared with 9 million during January, when the vaccine was available to anyone who asked for it. These statistics were largely confirmed by results from a second, independent survey conducted by Harvard researchers, who also reported on Friday that 21% of Americans had received the vaccine as of late January. The Harvard poll also found that 44% of Americans said that the H1N1 outbreak was over. The H1N1 vaccine uptake numbers look especially bleak given the heavy publicity the campaign received when the vaccine came out last fall, and again early in January during the National Influenza Vaccination Week. And in a striking contrast, last fall 32% of Americans received the seasonal flu vaccine for 2009-2010, according to a RAND corporation report, an incredible irony because the flu strains covered by that vaccine have largely been out of circulation this flu season. 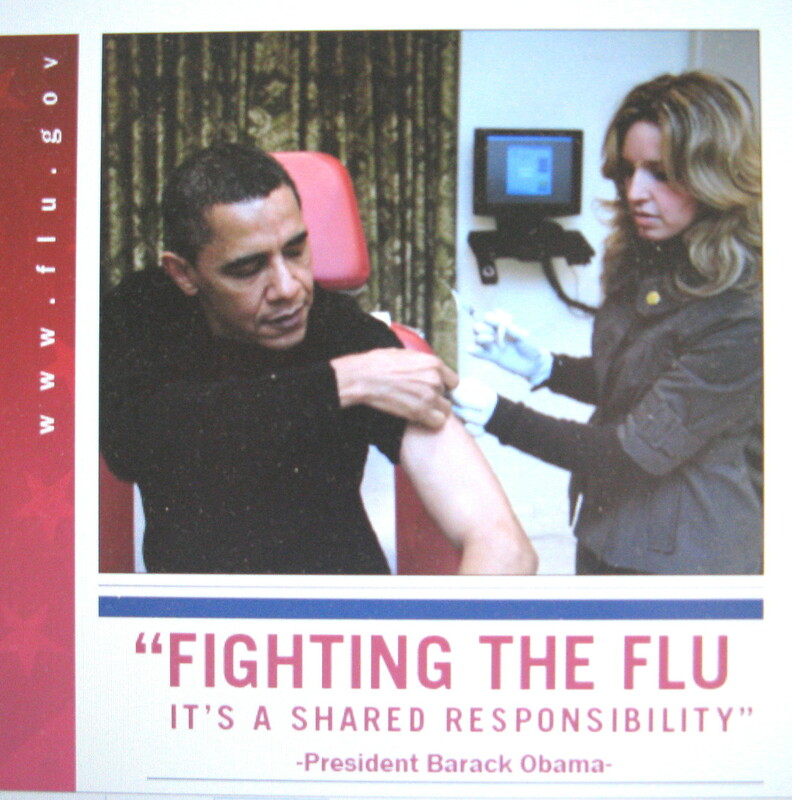 Near the end of the 2008-2009 flu season, 38% of Americans had received that season’s vaccine, RAND also reported. What’s the problem with H1N1? “Our results show there was broad awareness of the public health messages on H1N1; approximately 3/4ths of the public reported seeing ads regarding the importance of getting the H1N1 vaccine since December, but many people did not respond to the message,” said a researcher from the Harvard survey. The CDC and its parent federal department need to do a lot of self-examination to figure out how they failed so dramatically. To read more about this topic, see my article from February 11. The U.S. is currently observing National Influenza Vaccination Week, in case you didn’t know, designated by the Centers for Disease Control and Prevention and the Department of Health and Human Services. As you might guess, the current edition of National Influenza Vaccination Week (NIVW) is all about trying to get the H1N1 vaccine into the U.S. public, a goal that will need a few weeks of hindsight to gauge the Week’s success. This goal also faces a significant challenge now that the most recent wave of the H1N1 pandemic in the U.S. has dropped to a vanishingly small level, a juxtaposition I wrote about in a post here last week. But, as the CDC and HHS note in their NIVW promotions, the calendar says we’re nearing the hot zone of the traditional U.S. flu season, and how that will play out this year is anyone’s guess. A new wave of H1N1 infection is certainly possible, and might be prevented if lots more people get vaccinated. The federal government’s current promotion of NIVW is pretty remarkable, if only because of the full-page ads it’s run in several national and regional newspapers with an endorsement of the H1N1 vaccine signed by more than 30 U.S. health organizations. The CDC’s website includes a NIVW page with a long list of other promotional events and items, including a presidential proclamation, and an interesting mix of “ready-to-use” articles that enterprising site-visitors are encouraged to try to place in local media outlets. As I noted in a post here last October, the U.S. Department of HHS, the CDC, and the federal government in general has committed a lot of effort, prestige, and reputation as well as several billions of dollars to make the 2009-2010 pandemic response work, and clearly that commitment remains in place. What metric should we use to judge the results? The number of vaccine doses delivered? The number of influenza infections or deaths by the end of this spring? The latter is, of course, the only end point that matters, but that will depend largely on the virus itself. The number of vaccines administered is the outcome that the CDC and the public health community direct affects, and that will depend on how many people are persuaded to roll up their sleeves. H1N1 Pandemic Slip Sliding Away? U.S. public health officials haven’t given up on the influenza H1N1 pandemic, but it seems like the American public has. The irony is that just as the H1N1 vaccine became widely available in December, rates of pandemic flu infection dropped to vanishingly low levels and concurrently concern about H1N1 largely dropped off the national radar. 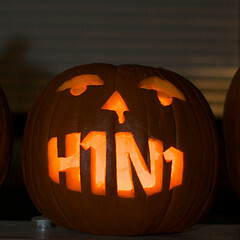 The recent downturn in H1N1 infections helped further blunt any fear. Slow-to-build vaccine supplies undercut the vaccination push. The bottleneck made widespread vaccination impossible during the hyped-up early days of the pandemic’s current wave. The result: the momentum to get much of the American public vaccinated fizzled out. The only thing that could reinvigorate the vaccination campaign now would be a third wave of infection later this winter or in the spring — certainly a possibility, but hardly a given. 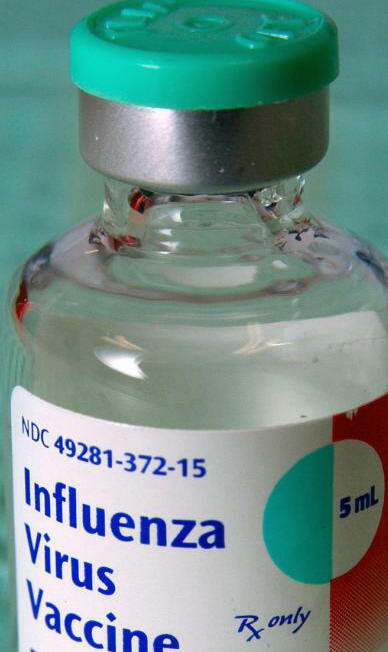 The U.S. H1N1 vaccine supply stream remained at a disappointingly moderate level in December. During the 5 weeks from late November through the last day of 2009, an additional 48 million doses shipped, bringing the total since the vaccine began appearing in early October to a hair under 100 million doses through the end of last year, half the total ordered and paid for by the Department of Health and Human Services. What this meant was that until mid-December, access to the vaccine was officially limited to high risk groups. According to a report last Friday in the New York Times by Douglas G. McNeil Jr., 60 million Americans had received the H1N1 vaccine through the end of 2009. Just when vaccine availability began to open up, the pandemic wave ebbed away. During the week ending Dec 26, the Centers for Disease Control and Prevention reported that its surveillance labs identified 83 isolates as H1N1 (with another 76 isolates influenza type A, with subtyping not done). That compared with more than 9,500 H1N1 isolates identified (with another 2,100 type A isolates not subtyped) during the current wave’s peak, the week of Oct. 18-24. Four states were reporting widespread flu at the end of December, down from a peak of about 40 states in late October. Here’s a personal story that typifies the missed opportunities and misinformation that have hampered the H1N1 public health campaign. I’m not a member of a high-risk group, and so waited till mid-December to call my physician’s office about getting the vaccine, only to hear that they would not carry the vaccine at all, not now or at any time in the future. I was amazed, as this practice routinely administers flu vaccine each fall. I asked why, and the practice’s nurse told me: Their patients are almost entirely middle-aged or elderly, and hence faced little or no risk from H1N1. That was their conclusion, despite the fact that so far this flu season essentially the only virus in U.S. circulation has been H1N1, and despite the fact that infection by H1N1 is still a nasty experience even for older adults. During the current U.S. flu season starting last September, U.S. surveillance labs identified about 60,000 H1N1 isolates compared with fewer than 300 isolates of other flu A types or B type. Unless the H1N1 pandemic resurges, the U.S. legacy will be a vaccine that wasn’t available for most people until the infection threat died down, and a triaging of initially-limited vaccine supplies to high-risk groups that got mistaken by even well-informed people to mean that high-risk people were the only ones at risk.